Are you strapped in tightly? Eve Online is an open-ended Massively Multiplayer Online Game or MMOG developed by Icelandic video game developer and publisher, CCP. The game offers unlimited potential as each player strives to make their fortune in cyber space. Start off as runner and gradually build your Eve Isk wealth. ISK, the currency, is where fortunes are lost and enemies made. Slowly add and refine your skills as you build your career in space, overcoming ever more problems, seeking partnerships and fighting not only to keep your wealth but just to stay alive. Choose one from of four races. Caldari – The empire with strength, persistence, hard work and dignity. Minmatar – Independent people from a natural paradise called Matar. Amarr – Amarr empire is the largest nation in New Eden. Gallante – Gallante Federation is the only empire with true democracy with bravest men and women in New Eden. Ratting – Killing NPC pirates (“rats”) for bounty rewards and loot. Exploration – Archaeology, salvaging, hacking, as well as running dead space complexes and wormholes. EVE online introduces the world of the sandbox. Sandbox is the environment of EVE combined and affected by the actions of you and the thousands and thousands of other players. Every action taken by every player affects the state of the Sandbox, and through it those actions affect every other player; Starships are destroyed and empires crushed. The web of action and reaction in EVE leads to emergent gameplay where a single shot, business deal or even just a word can determine the destiny of thousands. The Eve Online game has been on PlayerAuctions since 2008. Product Market share breakdown:Account 43% -> Currency 38% -> Item 16% -> Guide 3%. Average order price for EVE Online: $83.48. Cheapest order price: 500M Eve Isk worth $8.02. 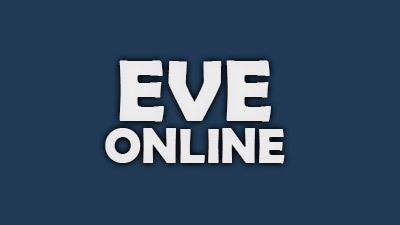 The largest order price and most expensive single item: Eve Online Account worth $2,940.65.